Inclement weather did cause a delay of the event from its planned date. But on April 5, Tech Green and the Student Center Parking lot saw around 3,000 Tech students enjoying carnival rides, food, games and prizes. 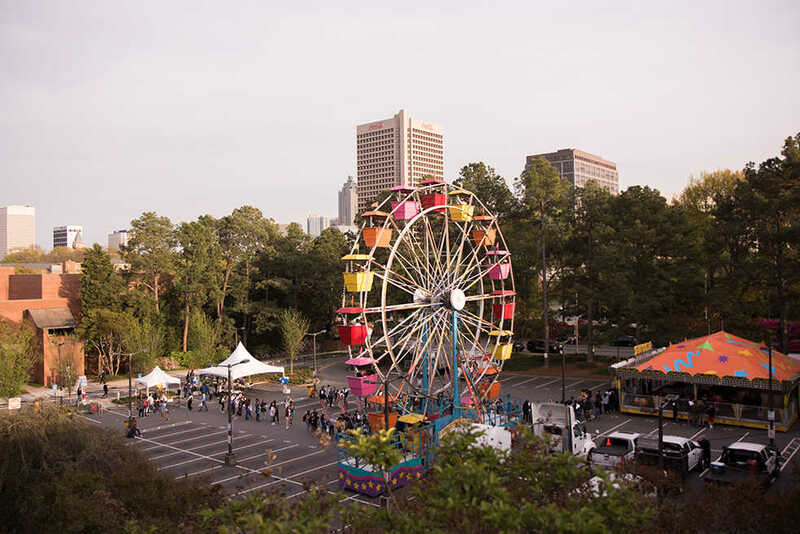 Previous years have seen Sting Break take place in Tech Square and on the 5th Street Bridge, though this year, a more central location was chosen. The Technique spoke with Chris Harwell, SCPC’s festivals committee chair. The Festivals Committee is in charge of putting on Sting Break and other campus festivals. The location change was in part due to issues with the Georgia Department of Transportation, who has jurisdiction over 5th Street Bridge. Harwell speculates that GDOT may be implementing greater restrictions on bridges after the collapse of I-85 last year, coincidentally on the same night as Sting Break. The Festivals Committee looked at many different campus locations before settling on Tech Green. Another change to this year’s Sting Break was with the registration form and check-in process. The lines for getting into Sting Break can be exceedingly long. Around one third of Sting Break attendants filled out the waiver online ahead of time, reducing check-in wait times. “OIT developed an expedited check-in system specifically for those students at Sting Break to ease congestion,” Harwell said. Overall, SCPC is satisfied with the event. Moving the location of Sting Break to Tech Green may not be only for this year. Other possible locations for the future include campus parking lots, the Burger Bowl or the IC Lawn.